3 Beds 3 Baths 2,500 Sq. ft. This will not be on the market long! Beautiful ranch style home with a knock out view that exceeds expectations. 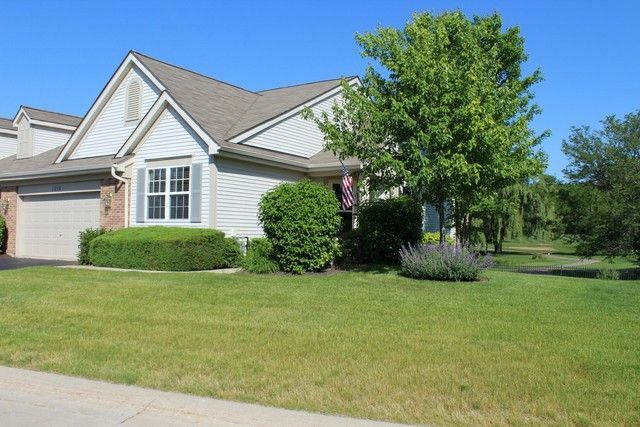 Perfectly maintained and styled ranch 3 bed/3bath overlooking a pond and lovely view of the Fox Lake Golf Course. This home features the open concept combo living and dining area with vaulted ceilings throughout the first level. Updated kitchen with cherry cabinets, Corian counter tops, top of the line Whirlpool appliances, vaulted ceiling, and wood floors. Opens up to a cedar 3-season room. Master bedroom includes master bath with a separate shower, a whirlpool soaker tub, and walk in closet. High counters in bath with marble sinks. First floor laundry with closet and sink. Walk out to a finished lower level with a beautiful great/bonus room for entertainment. Includes a gas fireplace, third bedroom, third full bath, and plenty of storage. Expanded paved patio to relax or entertain in the peaceful serene settings. Includes an expanded 2 car garage with extra room/length. Directions: Rte 59 to Grass Lake Road, west to Oakwood Dr. north to number.